The invasion of Spain in 711 AD by the Umayyad Caliphate was accomplished by a small number of high ranking Arabs, supported by large numbers of Berber tribesmen. Over the next centuries, they built a prosperous and successful society on the Iberian peninsula. The city of Cordoba had a half million inhabitants (making it the largest city in western Europe) and boasted 3,000 mosques. Seemingly on the fringe of Europe, Muslim Spain was nonetheless an important point for the diffusion of new ideas and goods into early medieval Europe. From Muslim Spain, Europe was introduced to chess, the lute and reintroduced to the writings of ancient Greeks. Besides scholars, warriors from Europe came to Andalusia for a variety of reasons. Some went to fight against the Muslims. Others went there in exile and to serve as mercenaries in wars between rival emirs. When they left, the French, Spanish and Normans took back polo, jousting and a love for poetry that would fuel the romantic ideals of chivalry well into the Renaissance. 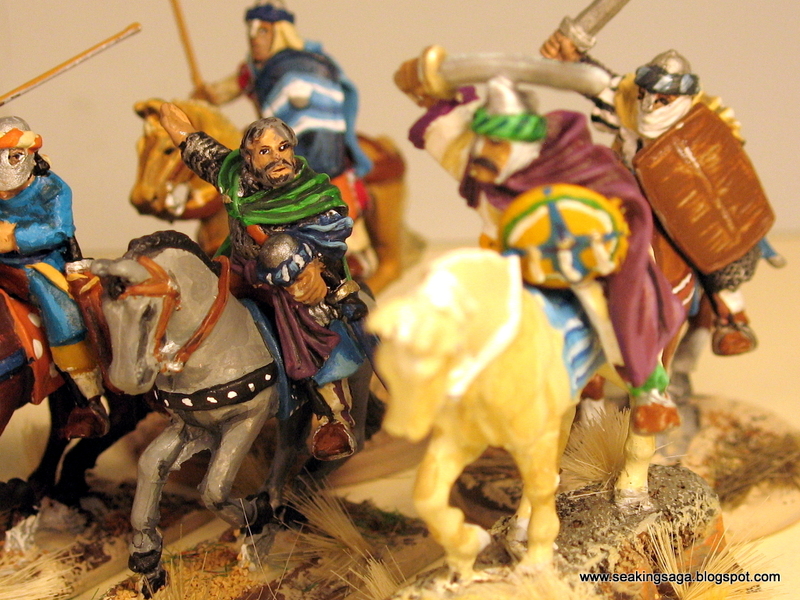 Elite cavalry in Andalusia was initially based on the Syrian junds of the Umayyad Caliphate, but these Arabs were a numerical minority in al-Andalus. 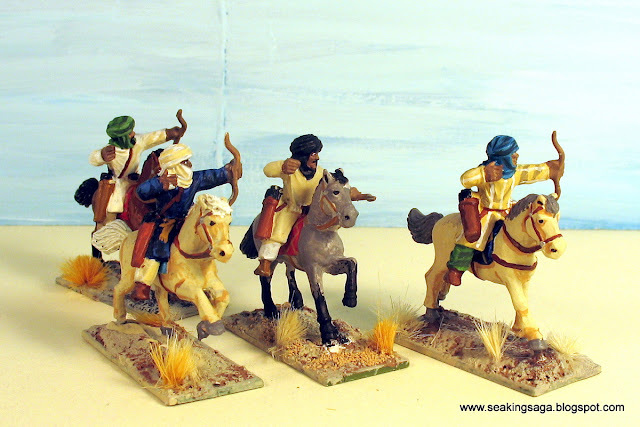 The Berbers were initially the bulk of the infantry forces, though Berber and African cavalry were more common by the eleventh century. 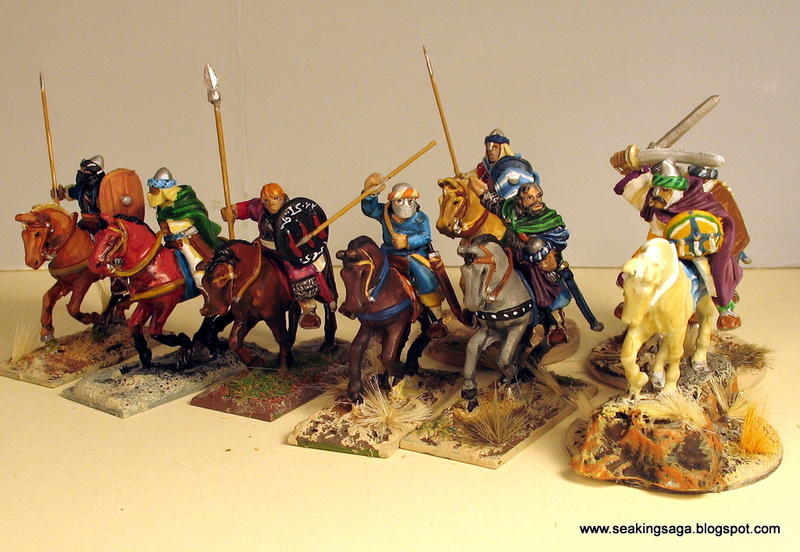 The noble cavalry of Andalusia's great cities were well equipped and colorful. They often wore chain or scale armor, with surcoats over the armor, a style that was later picked up by western knights. Tactically, their role was to support infantry with light weapons and quick maneuvers. Shields born personal designs or emblems. Again, it was a style that would later be imitated by Christians. Influences ran both ways, however. From Christian warriors, Andalusians picked up an appreciation for Frankish swords and the couched lance charging style. 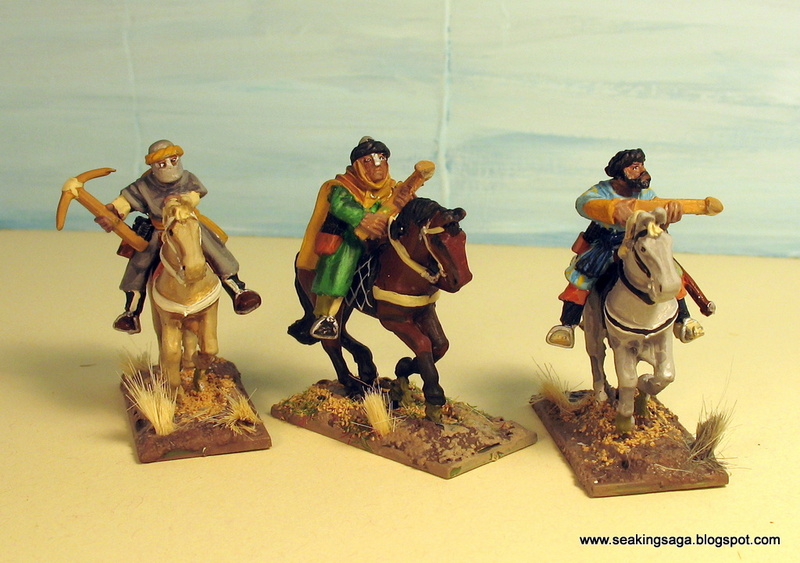 Mounted archers were rare, but not unheard of, especially if recruited from Turkish sources. More common would have been crossbowmen, mounted and on foot. Andalusian city militias were equipped with crossbows, and a number of better off among the citizenry could have wielded their crossbows from the expedient position upon a horse.